Purpose: Use this document as a reference for using catalog search in ctcLink. 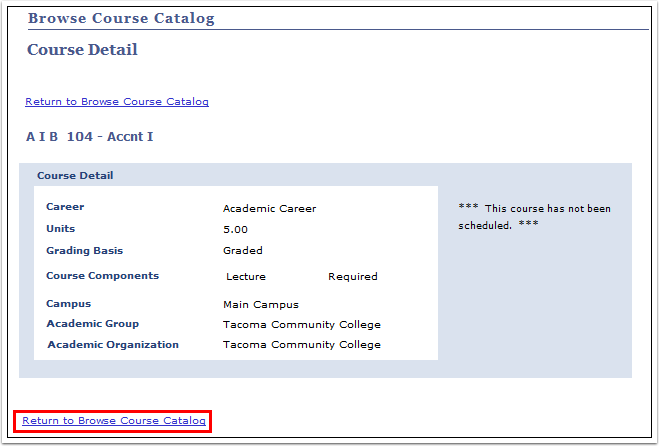 Click the Browse Course Catalog sub-tab. Enter the appropriate Institution and click change. Select the letter of the course subject to display a list of general topics. 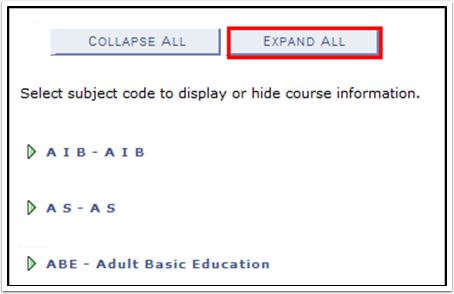 Select the arrow next to the Subject area or click Expand All to view courses for all displayed subjects. 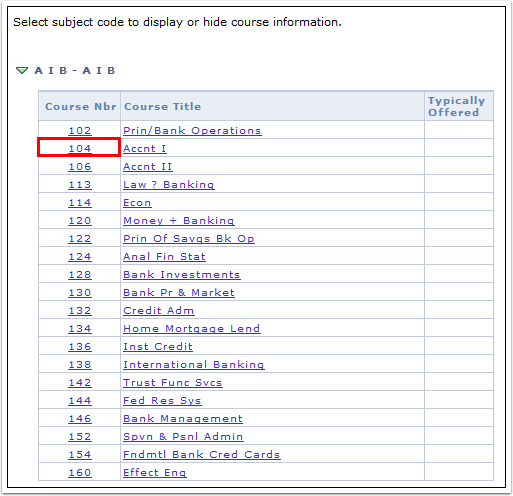 Select the appropriate Course Nbr from the list by subject. 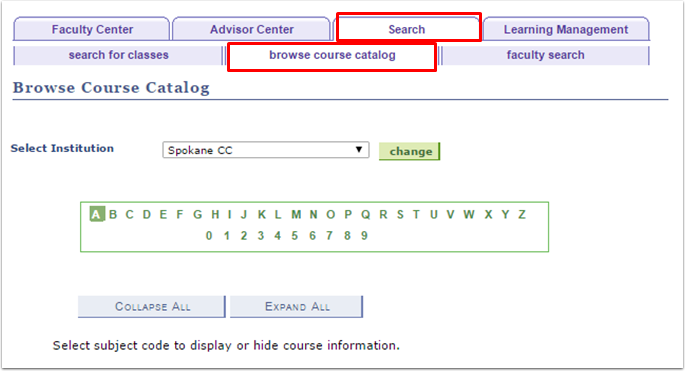 Select Return to Browse Course Catalog for a new search.